You may or may not have noticed from my constant stream of posts regarding mommyhood, bumpdates, and shopping lists, but I am expecting baby number two in just two short months! While pregnancy is a beautiful time, it certainly comes with its share of challenges, one of which is how to dress a constantly changing body. Expecting mamas want to look and feel beautiful, especially as their bellies grow. 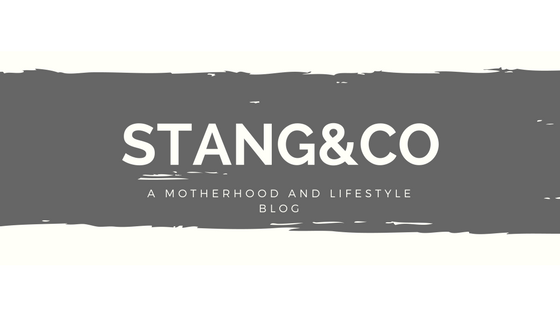 I was so excited when Pink Blush Maternity reached out to me to collaborate and share their new spring items with my readers. I have followed their site for quite some time, and you likely have seen their styles circling Pinterest and other social media outlets. They are truly one of the most fashionable (and affordable!) maternity lines that I have seen. With both Easter and a bridal shower just around the corner, I was majorly stressing over what to wear. I love feeling dressed up for special occasions, but as I am very pregnant, it can be challenging to find the ‘right outfit’. 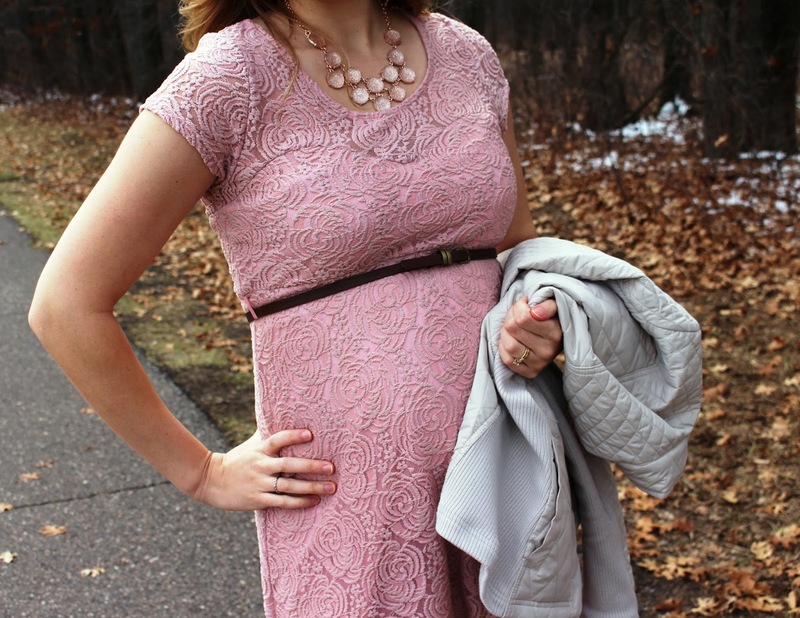 Enter this adorable blush lace dress. I couldn’t believe how nicely it flowed when I first tried it on. It is super comfortable, nice and long which makes it perfect for any occasion, and flattering. I paired it with some booties, and plan to throw a jacket over the top for church on Easter morning. This piece will be great with sandals once the weather is a bit warmer, too! It really is a versatile piece, and most importantly, super comfortable for the expecting mom! 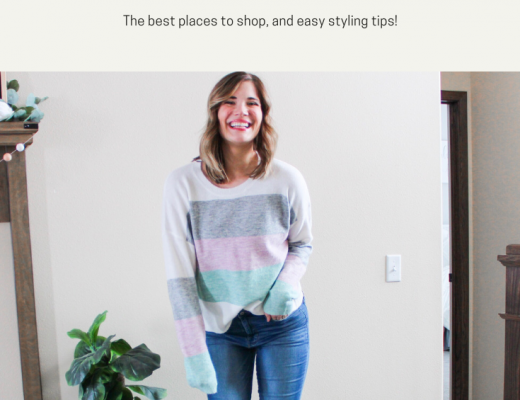 Pink Blush is graciously offering a $75 gift card to one of my readers, and here is the best part; they have both a maternity and non-maternity line! So ladies, this is not just limited to those who are expecting! Go ahead and enter below, registration is open through this Friday and I will announce the winner next Monday! *I received this item in exchange for my honest review. All thoughts and opinions expressed are solely my own. Linking up with Meg and Biana today! Fashion Tips For Tall Girls! So fun! You look great in that dress, too! I love that dress! It looks great on you and really flatters your bump! I love their stuff-I wore a dress of theirs to my baby shower and it was perfect! Happy Monday! This dress is super cute! Love it with the booties! I had a dress almost identical to that one when I was pregnant with Mila! I actually think it was from Pink Blush. Very cute – looks great on you! Thanks Jenn! Their stuff is super nice-I am impressed! Thank you! The booties are pretty necessary with the Minnesota weather this week!